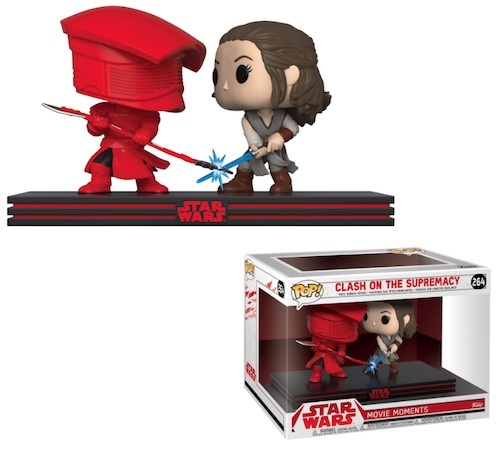 Showcasing iconic scenes from the Star Wars franchise, Funko Pop Star Wars Movie Moments offers fans unique options to help further their Pop! collection. Just as the Pop! 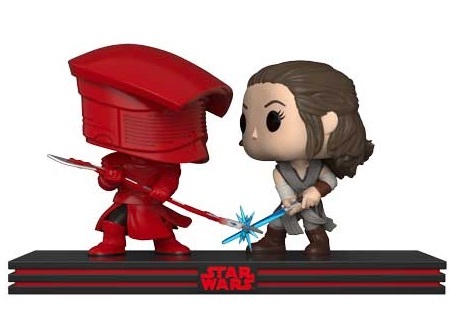 Star Wars line made each vinyl figure stand out by placing them on a disc, Funko Pop Star Wars Movie Moments replicates the film's stage, albeit on a slightly smaller scale. 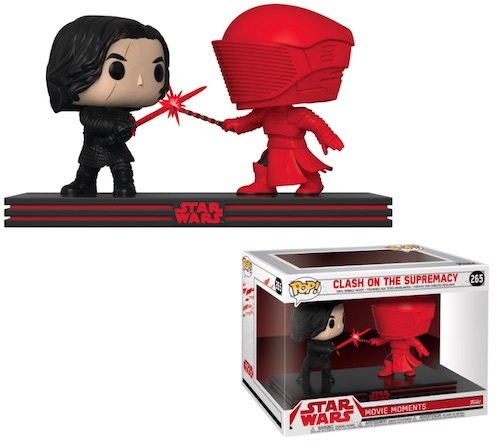 Think of it as a Pop! diorama. Despite the numbering order, the initial offering is from The Empire Strikes Back's unforgettable lightsaber battle between Darth Vader and Luke Skywalker on Bespin, a.k.a. 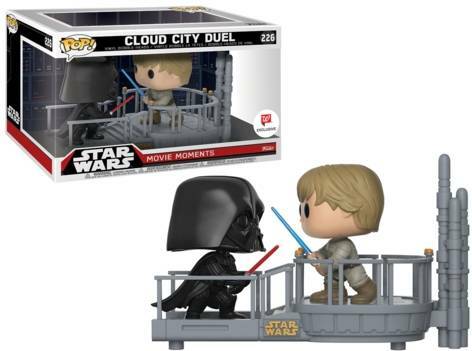 Cloud City Duel. 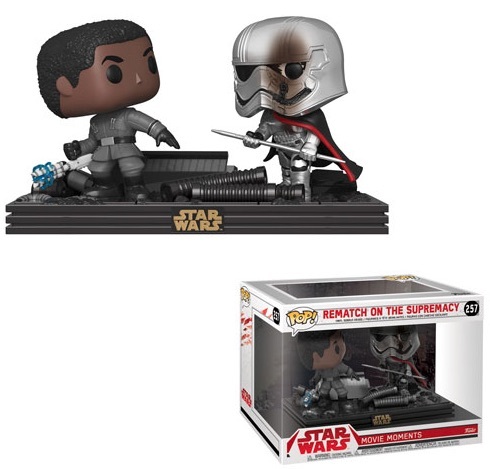 Shop for Star Wars Movie Moments figures on Amazon. 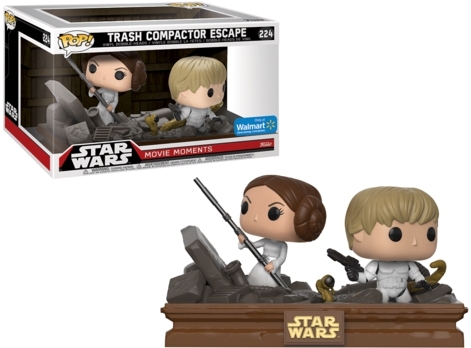 Each Funko Pop Star Wars Movie Moments option includes two figures that are sculpted in conjunction with a specific scene. One particularly memorable moment is immortalized in Cantina Faceoff. 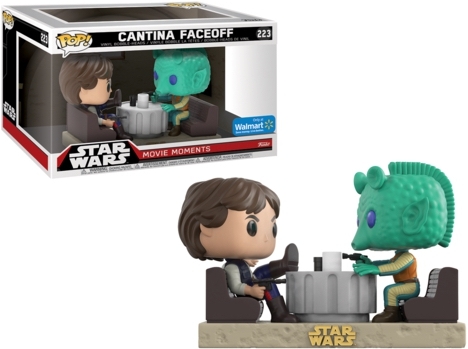 The Walmart exclusive may not help resolve the question of who actually shot first, but Han Solo is shown with his leg up on the table and his gun (hiding?) underneath, while Greedo points his weapon directly at Han. 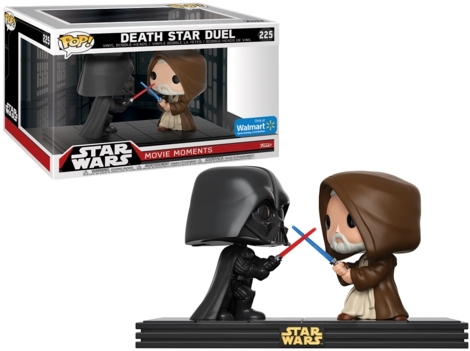 Although the Funko Pop Star Wars Movie Moments set takes the standard Pop! release to another level, it is still numbered as part of the main Star Wars line. They are a little pricier than typical Pop! figures, though, with a normal retail cost of around $25-30 apiece. 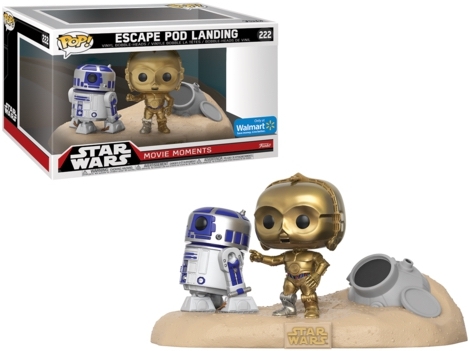 Leave a comment if you see any other Funko Pop Star Wars Movie Moments figures. 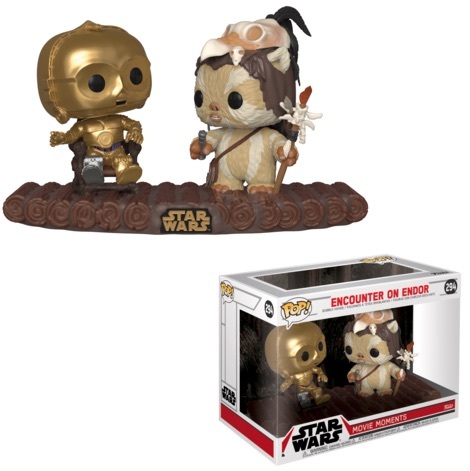 Funko Pop Dagobah Face-Off - Star Wars Movie Moments - Exclusive!